Lots of cool grape tidbits happened this week! 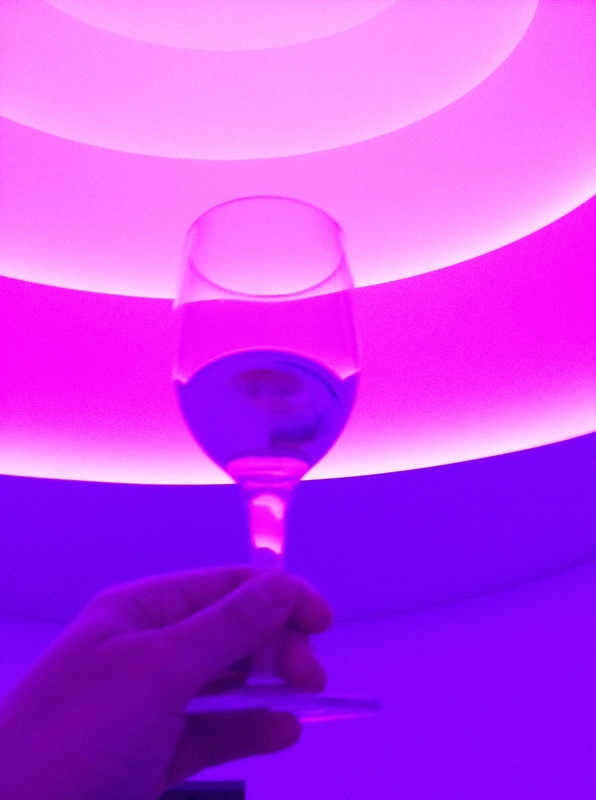 Went to the Guggenheim, where they poured out some really good wine at the James Turrell exhibit. Had a Vermentino first from Poggio al Tesoro, which is an interesting white to have in your arsenal. It’s light and sort of herbal, mineral, lemony. Great for some fresh grilled fish just done with a spritz of lemon and maybe a few capers – just how they’d serve it in Sicily, where it’s a popular wine at any local trattoria. 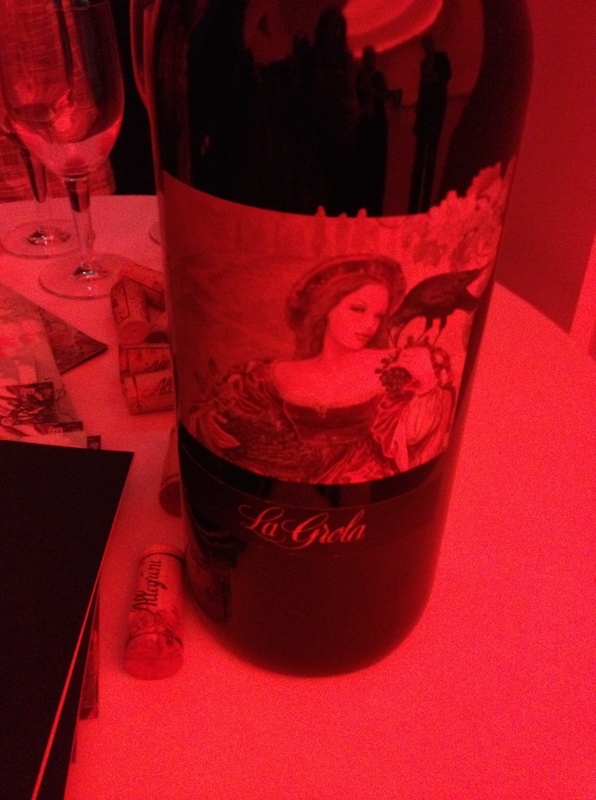 They also poured out two great Allegrini wines: La Grola, which is f 80% Corvina Veronese, 10% Oseleta and 10% Syrah (could’ve used a little meat with that one) and La Poja which is all Corvina (one of the few red Italian grapes I really like) was super delicious. Anyway, the exhibit was cool too – a huge light installation that changed colors, forced you to look up and contemplate space and up-there things. And it made for a great wine pics. Next up – this exists: wine popcorn! 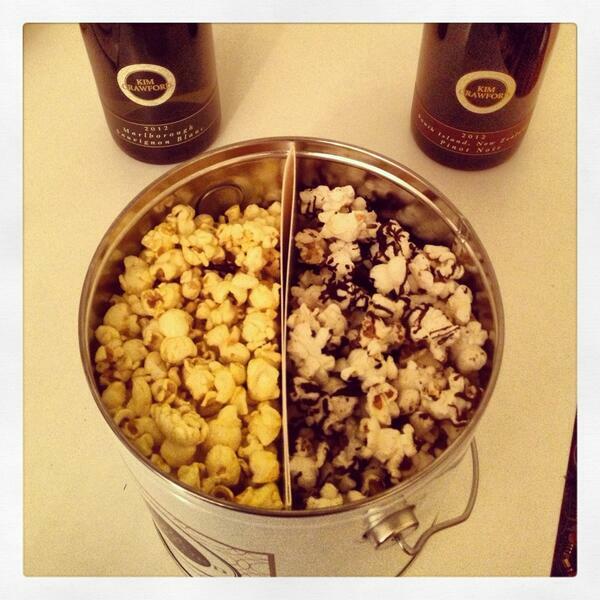 Kim Crawford teamed up with Populence to make Sauvignon Blanc kettle corn and a Pinot Noir chocolate flavors. You could really taste the wine in the Sauvignon Blanc one, although wasn’t sure if I loved it or not. The Pinot Noir chocolate one was awesome though, and I’m not even a huge chocolate lover! The Pinot’s only available in-store since it doesn’t last very long , but you can order samples or a tin of the Sauv Blanc online at Populence for $8-48. 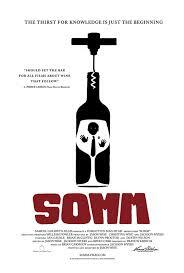 I also saw the documentary Somm, which is about people who are studying to pass the Master Sommelier test which is killer. You have to go through blind tasting, wine theory, and service and only 201 people have passed the test in the world. I took something similar when I studied at the American Sommelier Association. It wasn’t as intense, but I had take a two-hour exam and also blind taste 6 wines under a time limit, spouting out all the elements you taste in the wine and how they lead you to your conclusion of what it is. The docu brought back some test anxiety, but also made me sort of miss it. Anyway, check out the film to give you a glimpse of what people have to go through just to serve you a good bottle when you eat out. And last, just as a little by the way, got my toes done in Essie’s “Bottle Service.” Had to get something appropriate for my rooftop rosé party. (That black stripe on my right toe is from when i dropped a wine bottle on it – hazards of the job!) Toes done in rosé = tosé! And obv, follow @grapefriend on Twitter for more grapey fun. Have a great weekend, everyone, and drink well! Tags: corvina, pinot noir, popcorn, Rose, sauvignon blanc, somm, syrah, vermentino, wine. Bookmark the permalink. Previous post ← rooftop rosé! Ooh was eager to hear your thoughts on the wine popcorn, may have to try the pinot! popcorn is an interesting twist – would definitely try it though. I plan to offer gourmet popcorn in the wine bar and will change up the offering once a month. The hard part will be pairing it with the right wine.